This Is My Favourite Sports Video Of 2015. Bring On The Wiener Schnitzel Weenie Dog Race! Other than watching over and over Jose Bautista’s bat flip, this is my favourite sports video of the year. The El Paso Chihuahuas hosted the Wiener Schnitzel weenie dog race. What could go wrong? 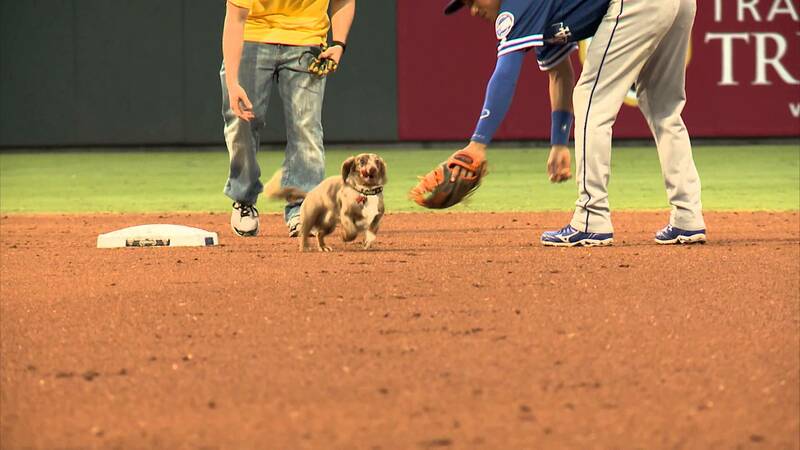 Well, this long-haired dachshund had a blast running around a baseball field and avoiding getting caught. Next articleWhy the real world is great.